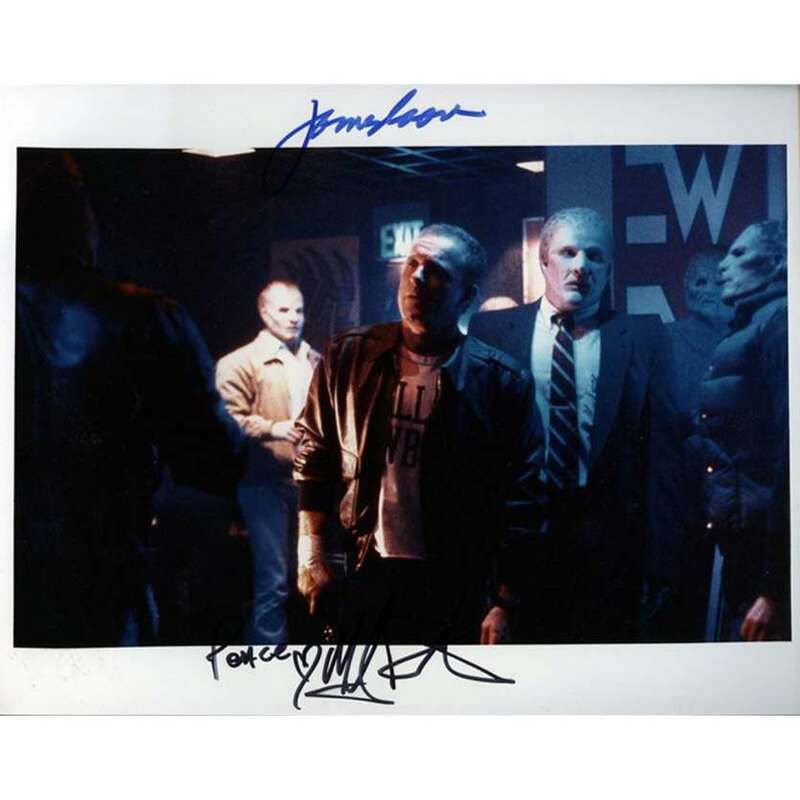 > Autographs>ALIEN NATION Signed Still by James Caan and Mandy Patinkin ! - 1991 - 8x10 in. ALIEN NATION Signed Still by James Caan and Mandy Patinkin ! - 1991 - 8x10 in. Alien Nation Color still signed by James Caan and Mandy Patinkin. Format : 8" x 10" Condition: Excellent (C8) See our 10 GRADE SYSTEM Page for more information. James Caan (born March 26, 1940) is an American actor. He is best known for his starring roles in The Godfather, Thief, Misery, A Bridge Too Far, Brian's Song, Rollerball, Kiss Me Goodbye, Elf, and El Dorado. IMPORTANT ADDED INFO : This REPRO has been personnally signed by James Caan and Mandy Patinkin ! Overall condition : Excellent !